Retirement Connection is a comprehensive retirement resource for anyone who wants to know about their retirement options. You can find this resource guide in print, on our website, and via the network. 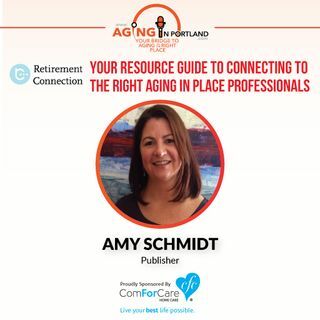 This is your resource guide to connecting those who are 50 and over with the providers who serve them. The Retirement Connection serves Greater Portland/Vancouver Puget Sound, Mid-Willamette Valley, and Southern Oregon.